The city of Star Idaho is located approximately 20 miles west of Boise Idaho. With a population of roughly 6k people, the community is a great size for those who want convenient location with small town feel. The town prides itself on being concerned for their neighbors and it shows. If recreation is what you are looking for than Star is very close to numerous outdoor activities with biking trails, camping, fishing and boating close by. Now that you have taken your time to find the dream home, you need to find the dream Star Idaho home inspector to make sure your dream does not become a nightmare. I am a Certified home inspector serving Star ID through InterNachi and AHIT. I will take the time you deserve to walk through and not only explain, but also educate you on the different systems and defects that we may find. 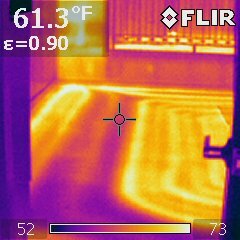 I will use Thermal Infrared technology with every home inspection I perform at the same great price. Do not get an inferior inspection with limited or no technology used. I have over a decade of combined experience in home inspections, remodeling, home maintenance, real estate and thermal infrared inspections. Call us @ 208-982-5335 if you have questions or would like to schedule your inspection.